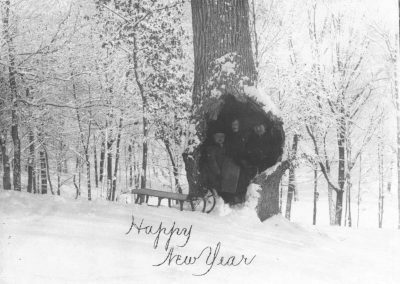 For several decades, the hollow elm near Ladies’ Hall provided a wonderful photographic setting for the St. Olaf community. 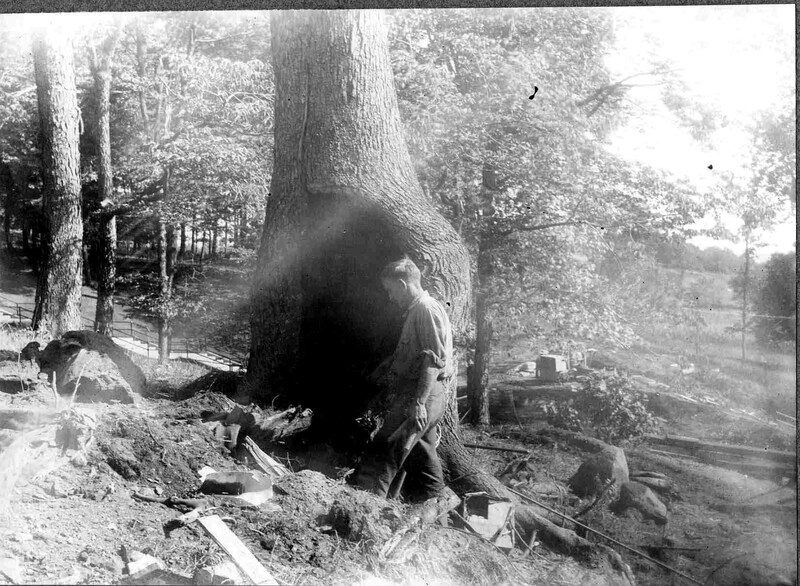 In the college’s early years, the tree’s cavity was burned to prevent further decay and was tended as an integral part of the campus landscape. 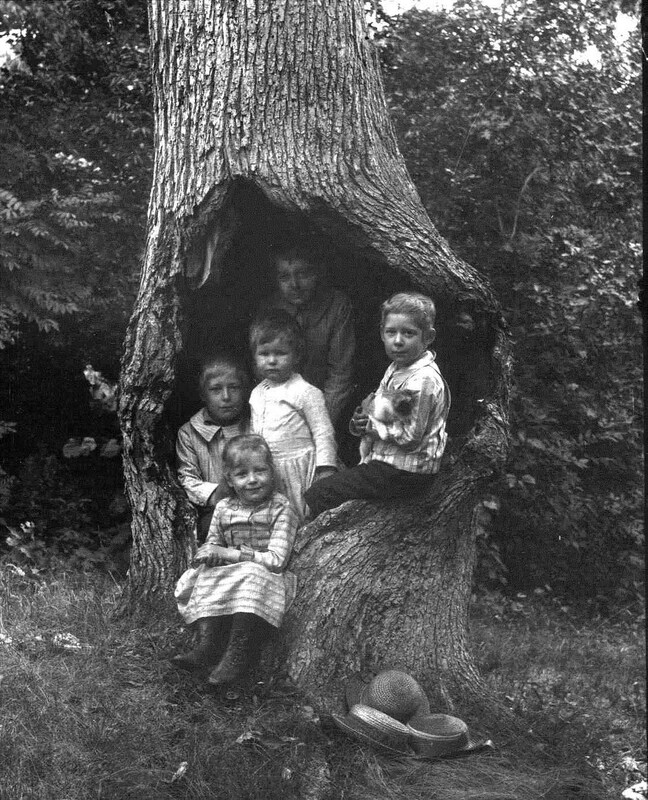 Professor Ole G. Felland, an avid amateur photographer, often posed his family and friends in the cavity, where he also staged a self-portrait. 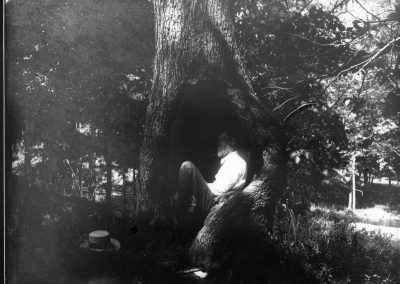 Located on the brow of the hill near present day-Holland Hall, the tree offered a temporary respite from the world as well as a secretive place to muse upon a verse or two (see below). Although little is written about the tree, it apparently was removed by dynamite a few months after Holland Hall was dedicated on June 5, 1925. A veteran guard on the hill-crest. O’er the paths converging beneath it. The time honored hall of the maidens. Cooled in a lingering snow drift. In the shade of its wide spreading branches. Which thou hast so faithfully guarded. Hermo Felland, Thonny Felland, and three sons of President Thobjorn N. Mohn, 1890. 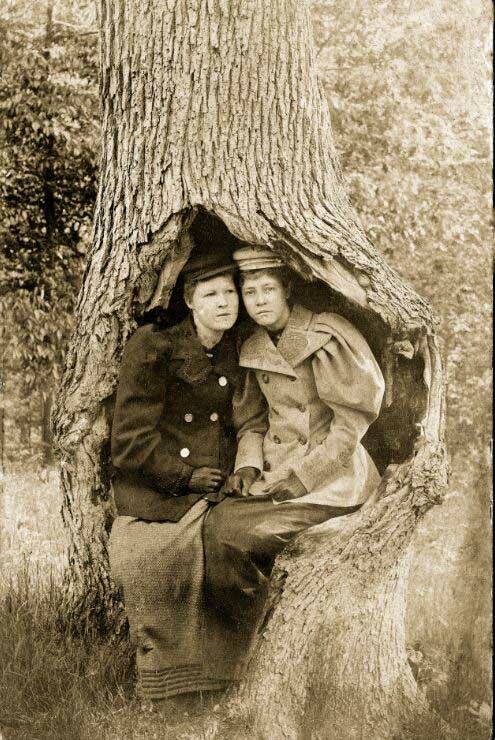 Marie Maurseth and Julia Sanderson, ca. 1894. 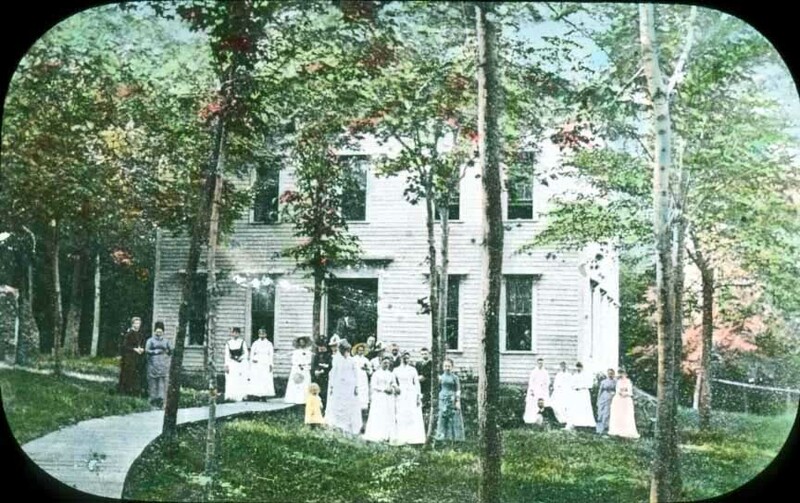 Ladies’ Hall was the original Northfield school house, built in the early 1860s. 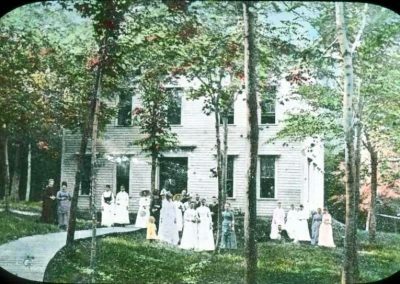 It served as the original building for the fledgling St. Olaf’s School from 1875 to 1878. 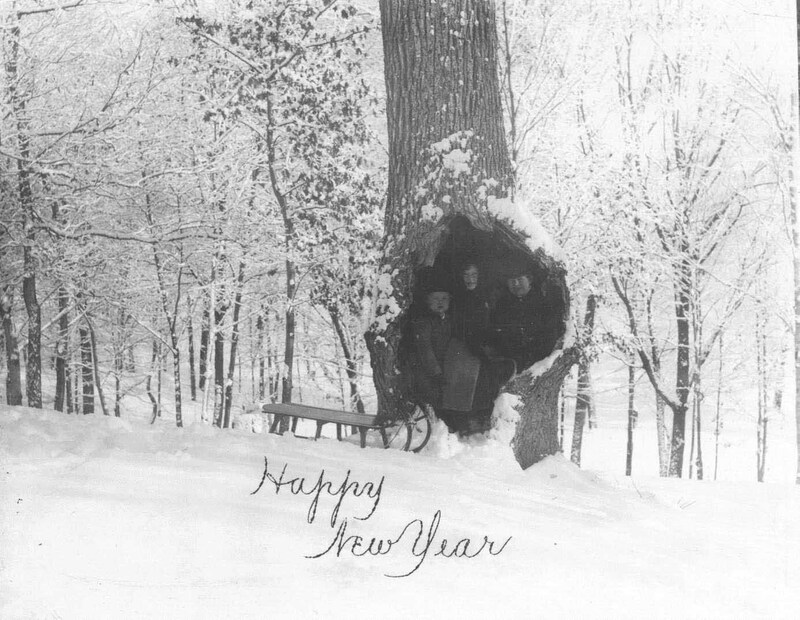 The following year it was removed to Manitou Heights. 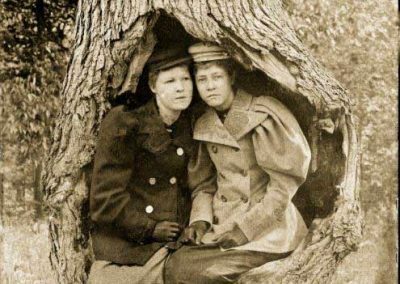 For several decades the hollow elm near Ladies’ Hall provided a wonderful photographic setting for the St. Olaf community. 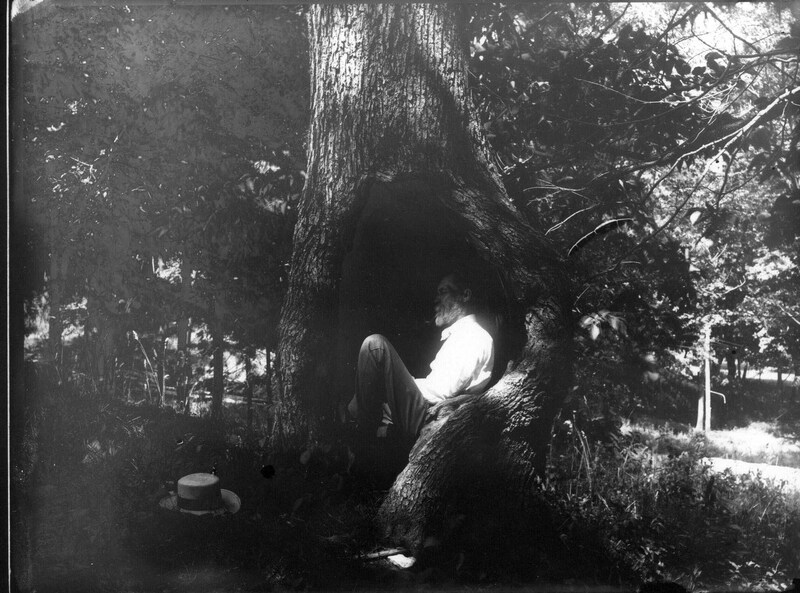 Professor Ole G. Felland hiding from students, 1910. 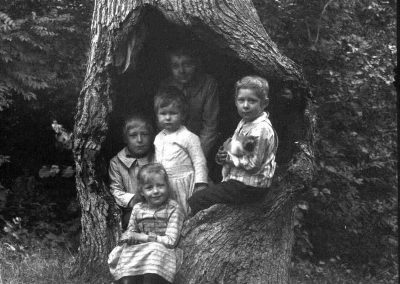 Professor Ole G. Felland, an avid amateur photographer, often posed his family and friends in the cavity, where he also staged a self-portrait. 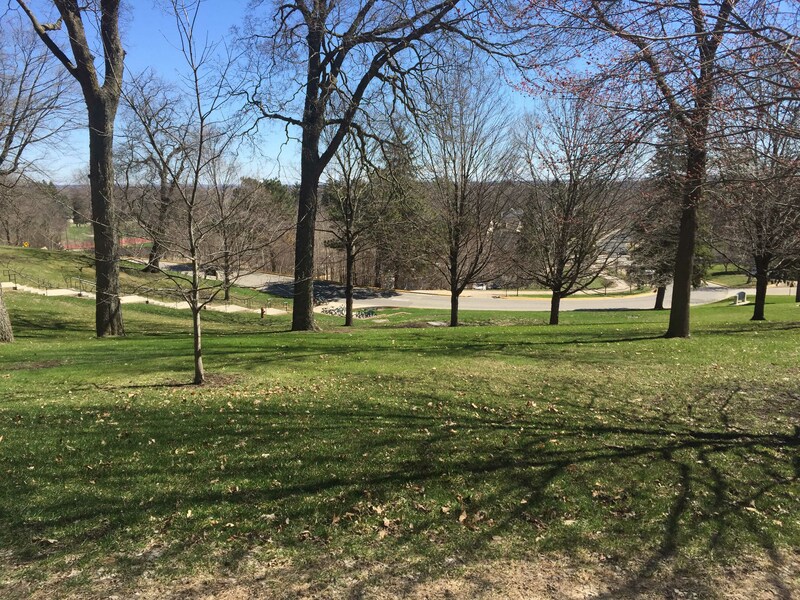 Located on the brow of the hill near present-day Holland Hall, the tree offered a temporary respite from the world. 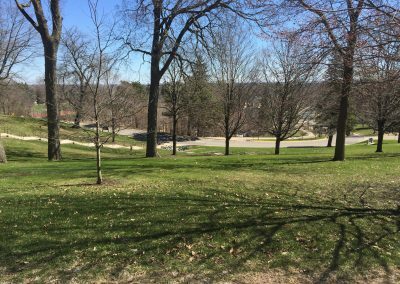 This hill is now a popular spot to study or relax, but it once was home to a beloved elm tree.